← Why are there cockroaches in the trees? 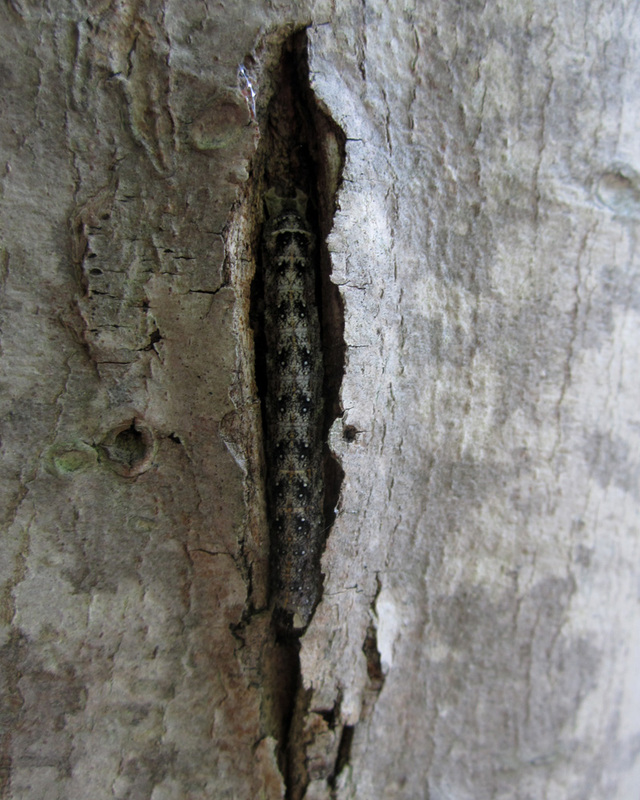 While at Hurd State Park last week, we came across a few caterpillars very intent on hiding. This one chose to cling to the midrib on the underside of a leaf. It managed to select a section just the right width to blend in. 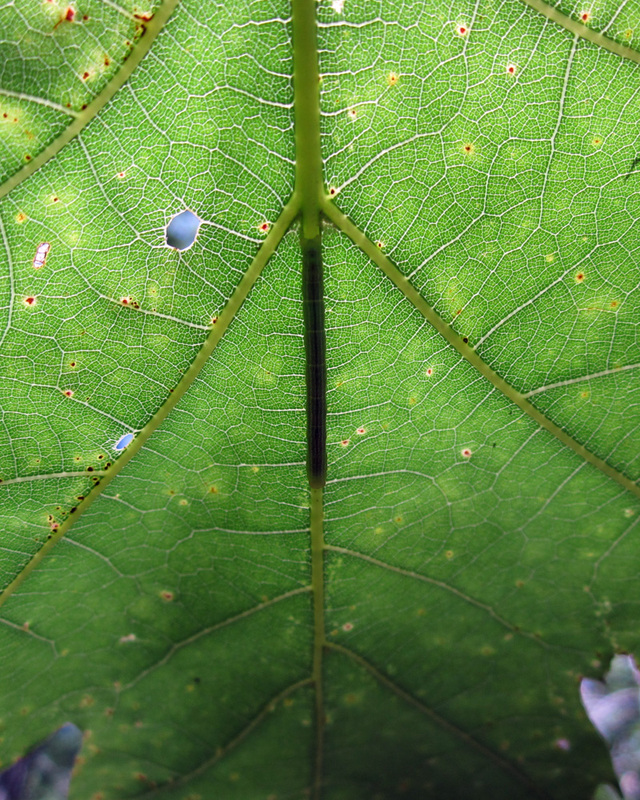 It was only the bright sun back-lighting the leaf that allowed us to spot the caterpillar easily. This one was quite sneaky – slipping into a little crack in a tree. It was right in front of me and I didn’t notice until it was pointed out. Have you observed any insects lately which have been very intent on not being seen? I would love to see more examples! Especially of caterpillars (of course). Posted on June 14, 2012, in Invertebrates, Lepidoptera. Bookmark the permalink. Leave a comment.